back roads, or the adrenaline pump of ripping your dirt bike at full speed on the edge, you need to stay hydrated or mistakes and fatigue can cut short the fun. 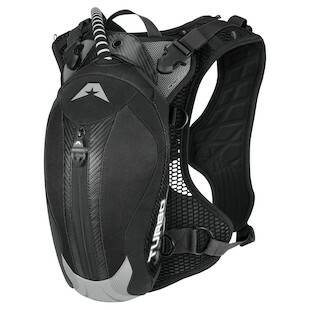 American Kargo has created some great off-road hydration systems to let you run hard all day long (or as long as you can handle it). They’re made for off-road riding, but also work well for less demanding outings. So what makes these packs unique? 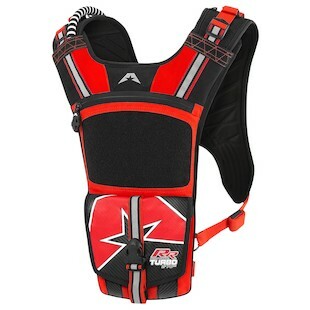 They use a butterfly harness that secures across your chest and provides multiple adjustments to let you get the fit just right and keep the hydration pack in place while you ride. Combine that with ergonomics designed to work around your riding gear and protection and you have fewer reasons not to carry water. Speaking of water, the hydration pocket is insulated (no one likes drinking warm water). Finally, you want to bring your favorite songs to keep you pumped up on your ride, right? They thought about that, too, with dedicated routing for audio cables. Sounds pretty good so far, so let’s take a look at the options. 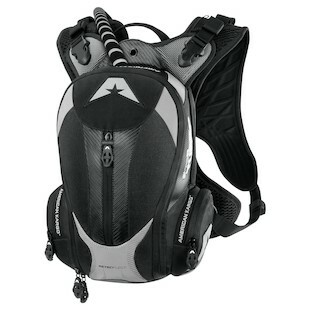 For the hard-core rider who carefully considers every ounce of weight and needs to carry only a couple of tools, you have the American Kargo Turbo 2.0 RR Hydration Pack, so you can keep throwing roost longer. For those trail riding or cruising days where you want to pack a little more than just some water, you have the American Kargo Turbo 1.5 and the American Kargo Turbo 2.0. All three of these packs will accept either a 1.5-liter or 2-liter American Kargo Hydration Bladder. Finally, American Kargo has an option for the thirsty riders (or those who just live on two wheels and never stop). 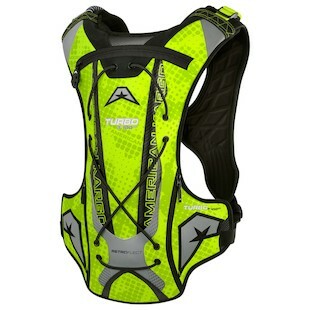 The American Kargo Turbo 3.0 will accept a 1.5-liter, 2-liter or a larger 3-liter hydration pack. Water is probably the most important item to bring with you when out riding. Whether you’re riding on the edge, exploring the wilderness or taking a day trip, American Kargo packs give us plenty of options. Get out and ride!